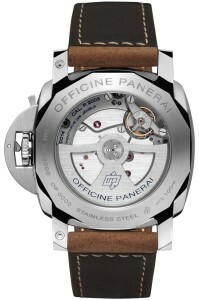 Officine Panerai has recently announced the addition of a new model to the 2014 lineup. The PAM533 Luminor 10 Days GMT Automatic features the P.2003 movement, which is the first automatic movement that was entirely designed and created by Panerai’s manufacture in Neuchatel. 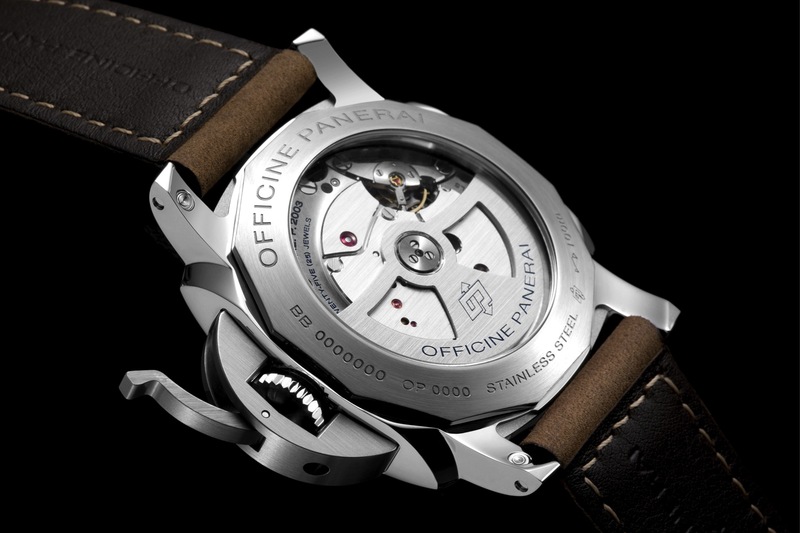 The P.2003 movement is an automatic calibre with a very long power reserve time of 10 Days which is displayed on the beautiful black dial with a linear indicator. 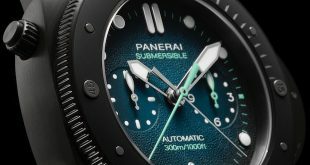 The movement also allows the GMT function with a 24 hour indicator with AM/PM on the sub second dial as well as the date on the other side. 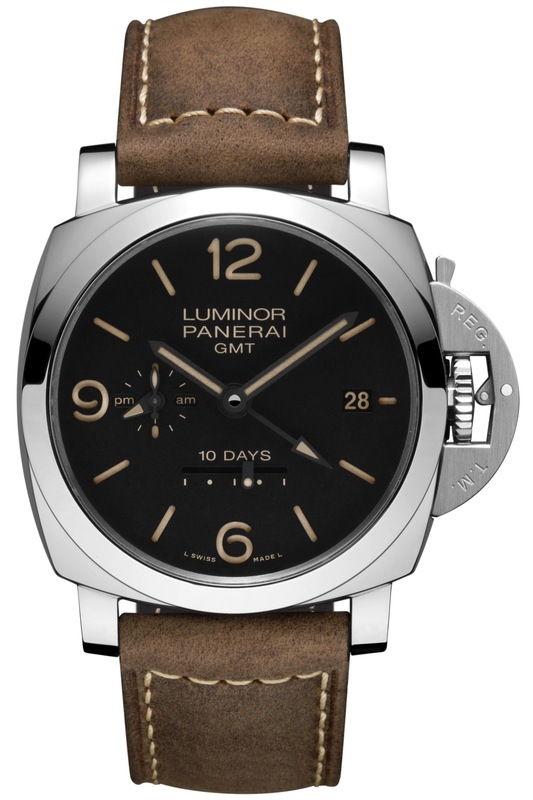 The PAM533 also features a faux patina lume as compared to the standard green lume and comes equipped with one of the best OEM straps, the brown Assolutamente strap. 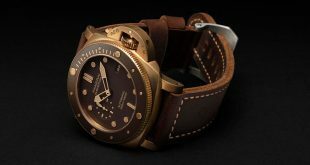 The Panerai PAM533 is going to be limited to only 700 units made worldwide and will have an MSRP of around $15,600 USD. 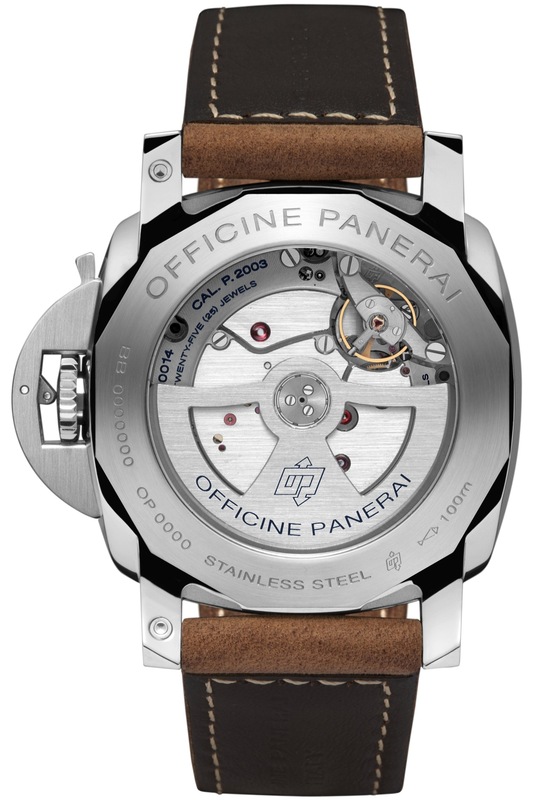 Movement: Automatic mechanical, Panerai P.2003 calibre, executed entirely by Panerai, 13. lignes, 8 mm thick, 25 jewels, Glucydur® balance, 28,800 alternations/hour. KIF Parechoc® antishock device. Power reserve 10 days, three barrels. 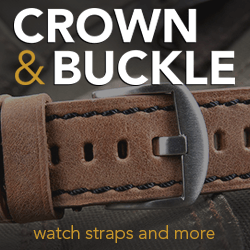 296 components. 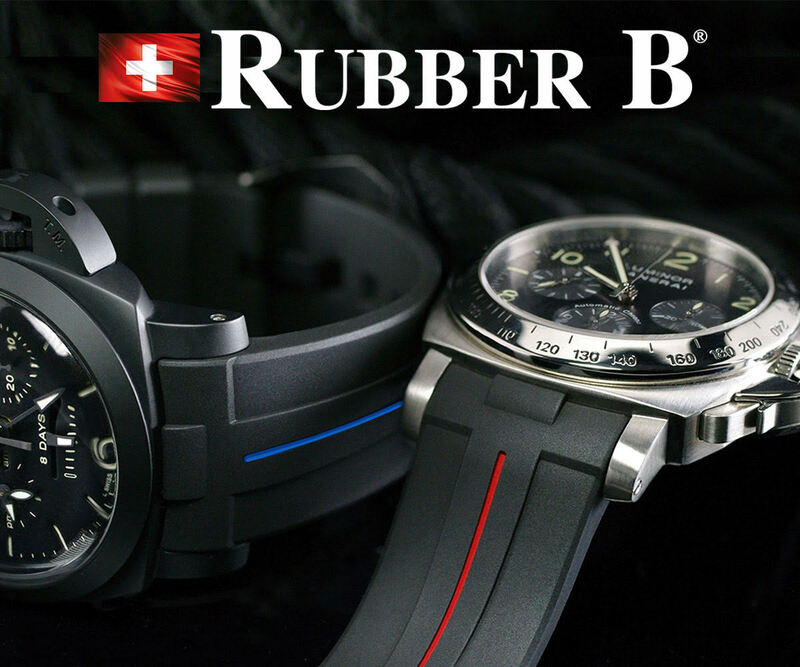 Functions: Hours, minutes, small seconds, date, second time zone, 24h indicator, linear power reserve indicator, seconds reset. 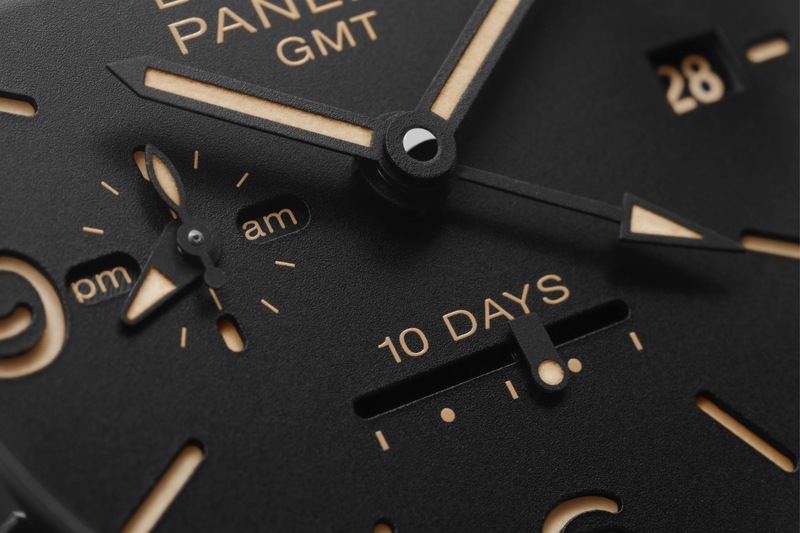 Dial: Black with luminous Arabic numerals and hour markers. 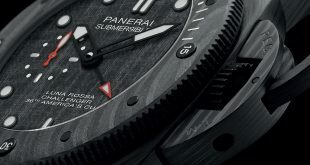 Date at 3 o’clock, seconds and 24h indicator at 9 o’clock. 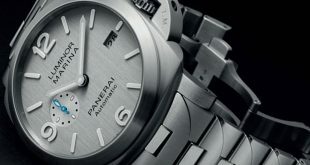 Linear power reserve indicator at 6 o’clock. Crystal: Sapphire, formed of corundum, 1.9 mm thick. 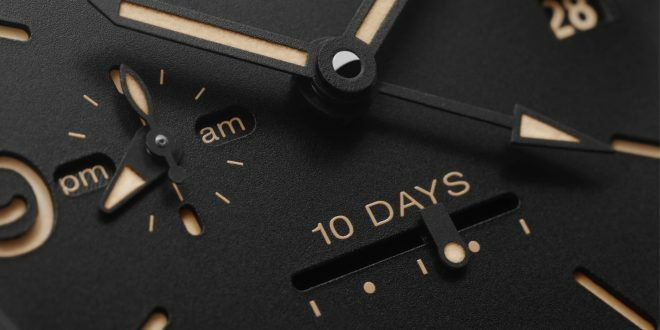 Anti-reflective coating. 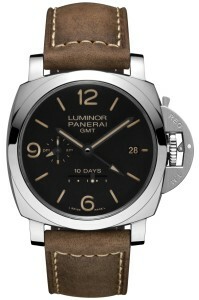 Strap: PANERAI personalized leather strap and trapezoidal brushed steel buckle. 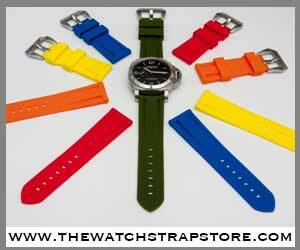 Supplied with a second interchangeable strap, a tool for changing the strap and a steel screwdriver.